Cawsand Bound Aug 2009 - Cawsand Parliament in Session!!. In loving memory of a very dear friend - Chris Lingard - you will always be in our hearts. 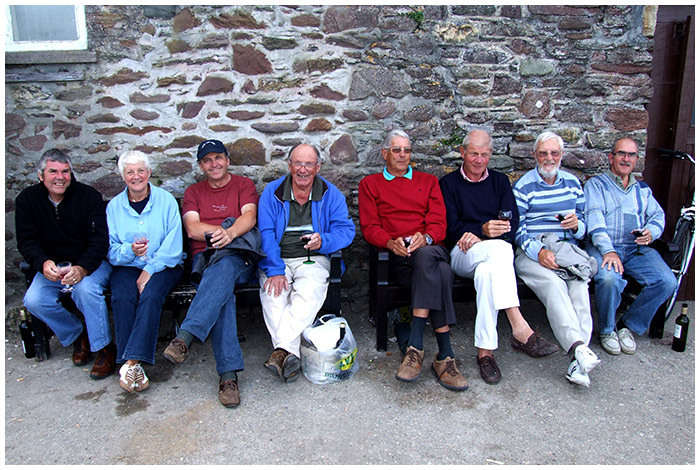 L-R Tony Ralph, Mavis Ralph, John Shepherd, Mike Thomas, John Cork, Steve Radley, Chris Lingard, Dave Rosson.